What’s the difference? 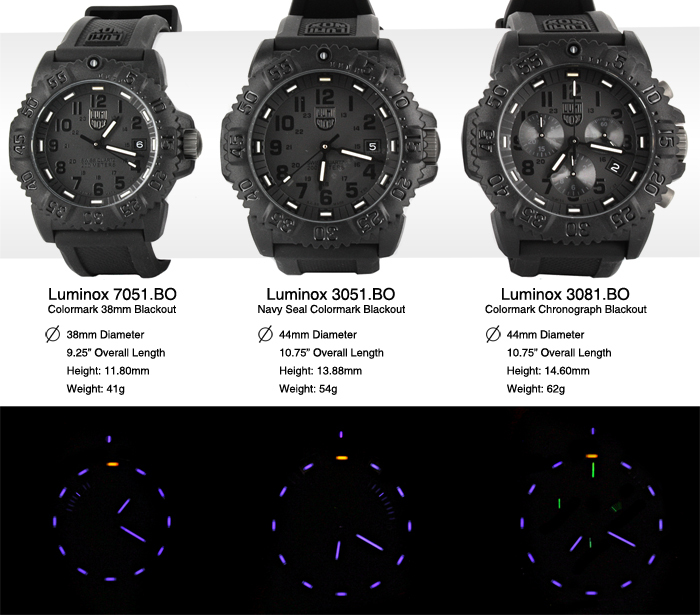 Check out this excellent comparison of the Luminox Colormark Blackout line. Get the full story here: Luminox 7051.BO vs. 3051.BO vs. 3081.BO.